Danta Corcovado Lodge provides an atmosphere of inspiration, relaxation and style. 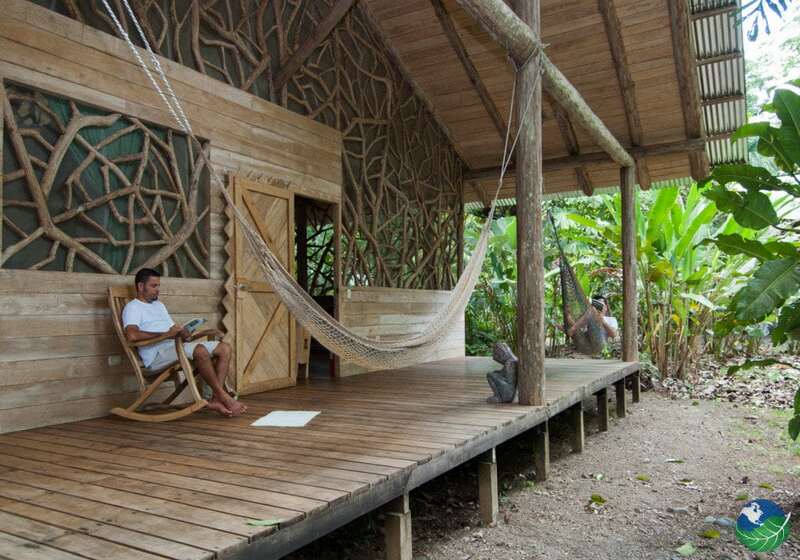 The Danta Corcovado Lodge, located on the Osa Peninsula. Right next to the Corcovado National Park. The lodge’s run by a local family, seeking to be a leader in rural tourism in the area. They advocate for local growth by supporting sustainable development and protecting natural recourses. All the staff members are locals. Also, many of the products are bought in the area to help the community develop. 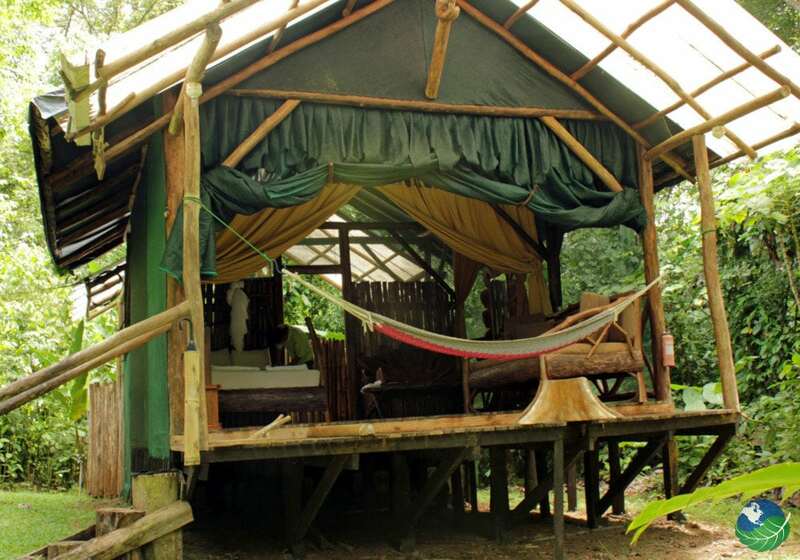 The Danta Corcovado Lodge is built and decorated with wood collected from the surrounding. Especially the creative details make it to a very special place where you can get active or just relax. Come and stay in your private hammock and even enjoy beautiful nature around you. 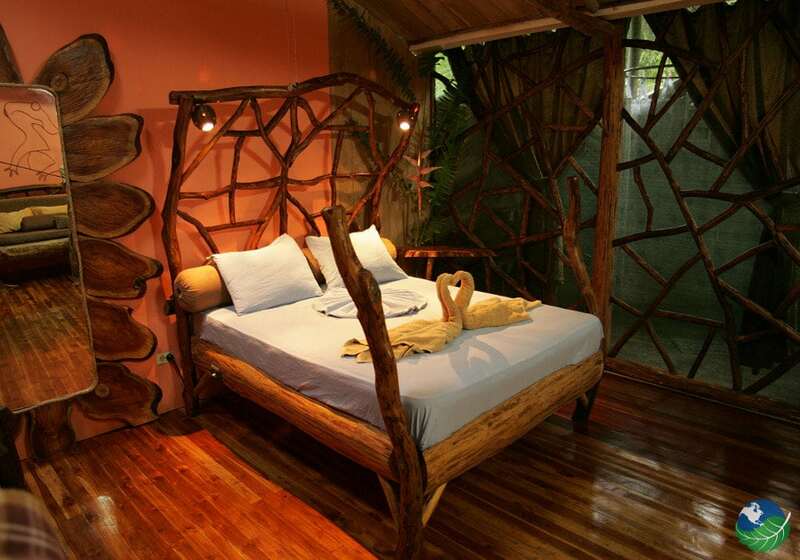 The Danta Corcovado Lodge offers rooms as well as bungalows for those travelers who want more privacy. They have located in the forest a bit further away from the main building. All rooms are individually designed with spectacular wood décors such as wooden mirror frames, coconut lamps, and a magnificent bed. 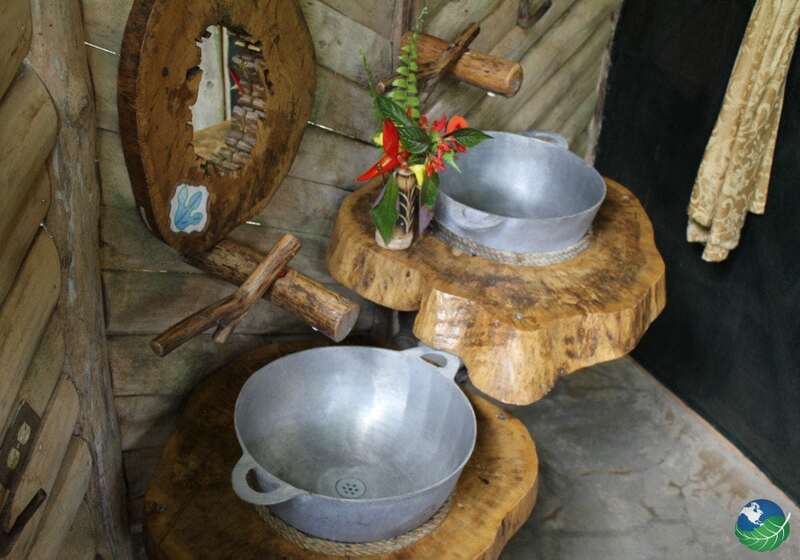 The bathrooms are open air and give you the feeling to have a shower in the middle of the jungle. 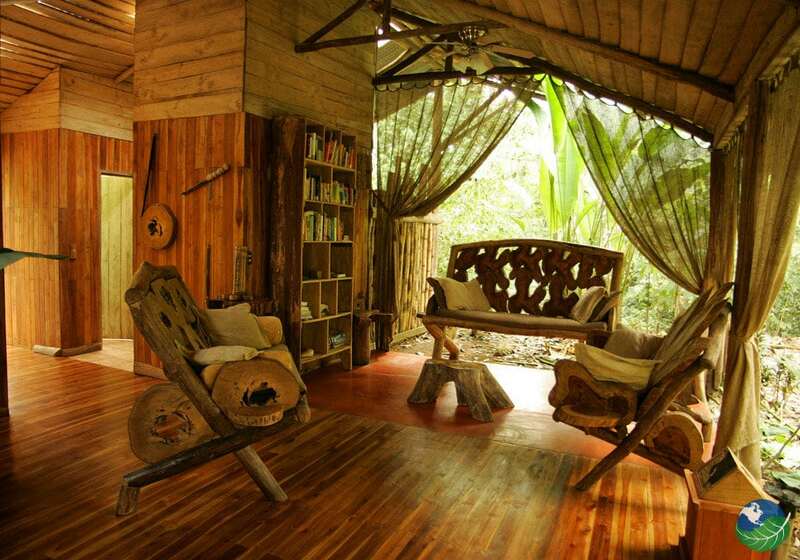 If you want to have even more the feeling to be in the rainforest choose to stay in a bungalow. Here you can listen to the amazing sounds of different birds, frogs, and monkeys. 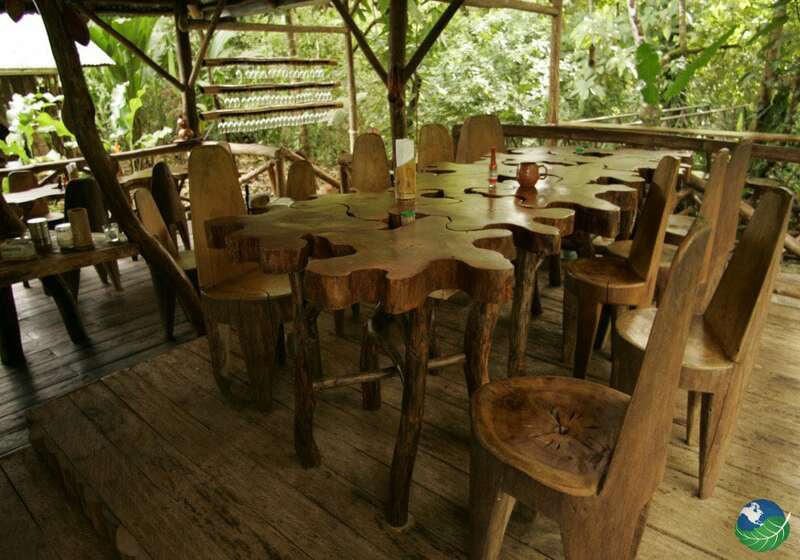 In Danta Corcovado Lodge you can find a spectacular open-air dining room is where guests meet to enjoy the delicious Costa Rican food. Also here almost everything’s made out of wood, the chairs build out of one piece, tables, and bar. This Rancho is overlooking a little stream and the rainforest so also here you can enjoy the sounds of the jungle. Breakfast’s included in the price, for dinner candles light up here for a unique experience you will not forget. In the afternoon also snacks offered and of course, you can also come to the bar to have a cold beer or a glass of wine. If you feel like some relaxation book a massage to forget about all the stress. To get more active and explore this fantastic area there are a lot of different tours offered. 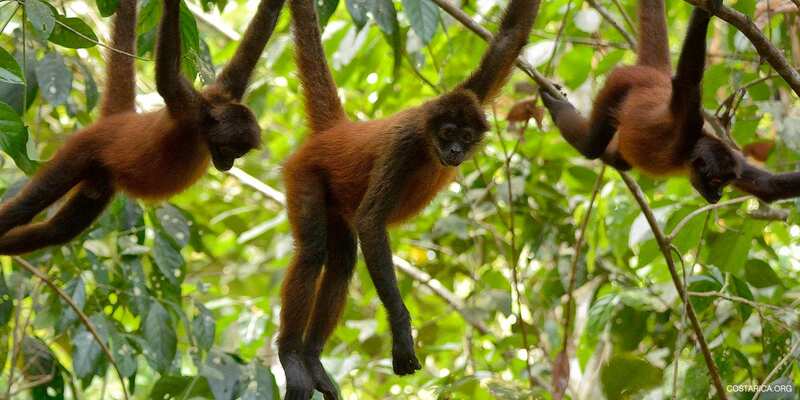 A must see is, of course, the unique Corcovado National Park with its high variety of flora and fauna. Put on your hiking shoes and enter the park via the ‘Los Patos’ entrance for half or full day tours. Other activities include kayaking, zip line, birding, night walks, or if interested in the local culture, you should take part in a visit to an indigenous reserve. This inspiring tour offers a lot of adventure, and you will learn many interesting facts about their lives.